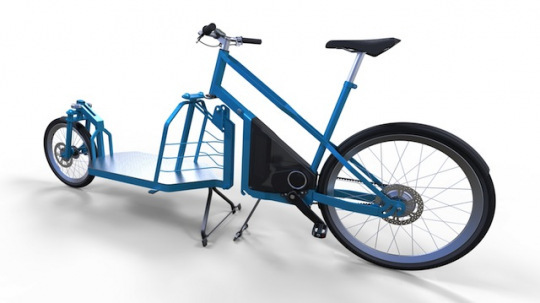 Electric cargo bikes continue to be a growing trend in the e-bike world. Here is a modular bike design that allows 3 different configurations; a normal e-bike, a front load e-cargo bike, and a front load e-cargo trike. “The present thesis regards the design of industrial products for energy saving and more specifically it deals with the issue of sustainable urban mobility. 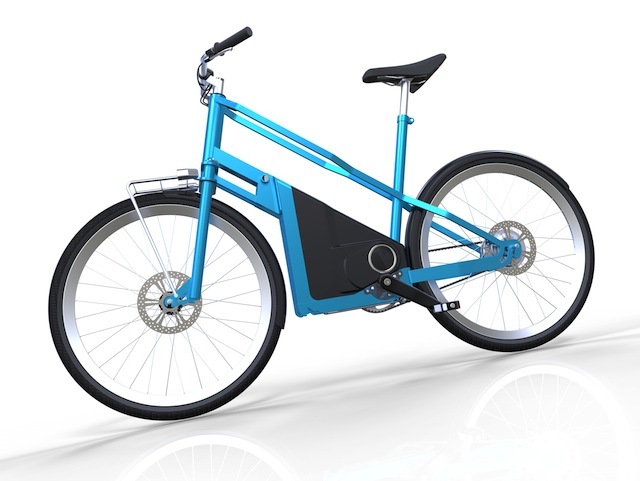 The theme is the creation and design of a velocipede with electric assistance to pedalling. Today, cycling is going through a new stage of growth. The cause of this sudden notoriety is to be found mainly in the economic crisis, which has led people to choose a means of transport without costs. Fortunately this is not the only cause: a happy combination of nostalgia, health consciousness and eco-chic have put together different types of people. The European bicycling market is growing while cars survive only thanks to the new world powers; moreover the car as a “status symbol” is destined to decline and the ecological cost of this means of transport is no longer sustainable. The need to intervene in the shortest possible time requires an effective, alternative, economical and readily available solution. Bikes have all these features and the benefits of cycling are well known. This work describes the process of product design which follows a design methodology based on user needs, the market and the environment. The result of this process is a modular pedal vehicle, adaptable to different needs and designed to perform tasks normally carried out by motor vehicles because they are unsuitable for the bicycle. 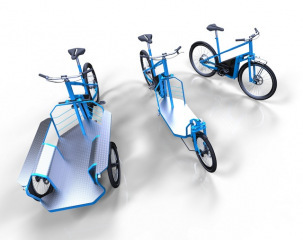 The target is to satisfy a wide range of users, promote the use of e-bikes and cargo bikes while helping to reduce the number of cars for private transport. This vehicle is composed of a main part and three modules with different transport and driving characteristics all of which are easily interchangeable by the user. 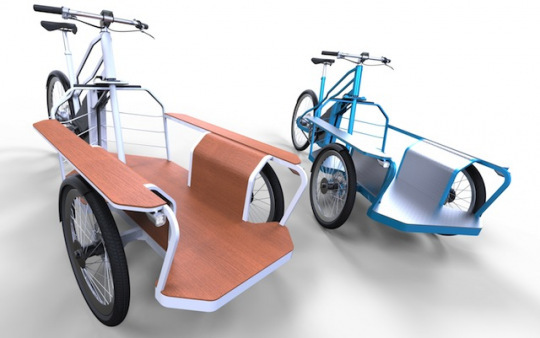 This bike is designed to permit three different configurations (bicycle, transport bicycle, transport tricycle) but the possibilities of customizing are endless thanks to the coupling of the different modules. The advanced electric propulsion system harmonizes perfectly with the rider’s pedalling while guaranteeing a permanent sensation of tail wind, increasing the distances covered and reducing fatigue. Speaking of a cultural revolution, make sure you watch this cargo bike revolution video! 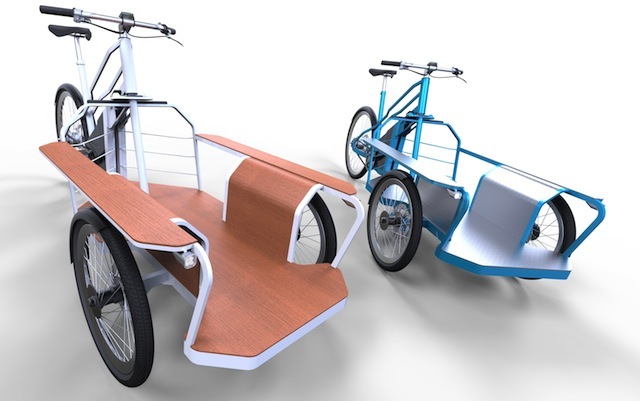 Checkout this site for more pictures and information on this unique modular electric cargo bike design. Hi Ken, thanks for your comment. Right now this bike is in the conceptual design phase. The designer would like to see it become a production bike at some point but time will tell. If it does go to production I will have more detailed info for you.